This is the online stop for Southern music listeners. 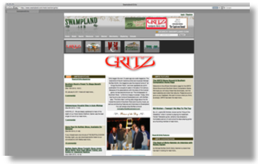 With a feel-good appeal, the site features headline news and a grab bag of interviews, reviews, articles, and even Southern cooking recipes. In general, a fun site with knowledgeable writers; a recommended site for any music enthusiast. 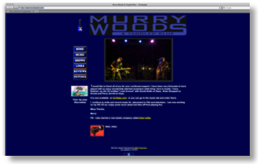 While this Web site features musician Murry Woods and his Austin, Texas - based band, the site has links which include the band’s bio, release info, and upcoming shows. For those interested in Texas blues & rock, this site may be of interest. 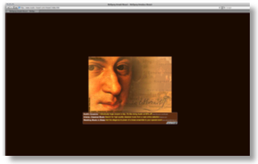 It also features links to other music-related Web sites. Geared toward the popular alt-rock scene, this site provides information and resources to stay updated within this vein of music. 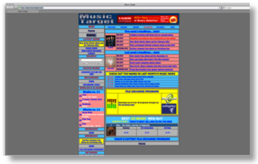 The site dedicates its homepage to weekly music headlines and a general pop chart. Other links within the site include a thorough archive of file-sharing sites and Web music news. And check out the artists names from last month too. This site is notable for those interested in the popular music scene. For those interested in updates on the general jazz scene, this Web site is a surprisingly thorough resource given its visual appeal. Although not eye-catching, the site remains well-structured and user-friendly. 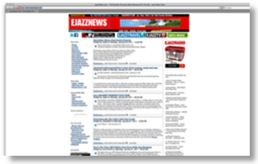 Features include CD reviews, jazz charts, press releases, and upcoming jazz releases. A hodgepodge of smaller functions, such as a message forum, a jazz “pick of the day,” a personal login account, polls and a gig calendar make this site a hidden treasure for jazz lovers.